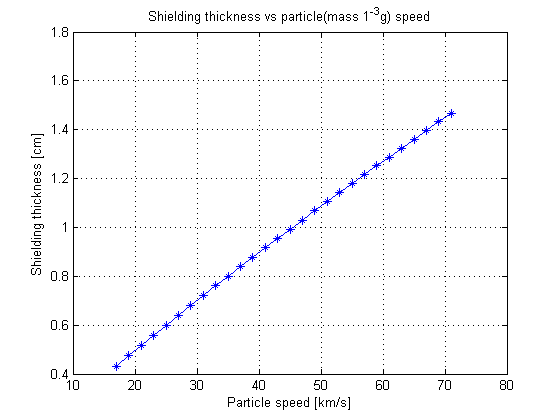 For a particle traveling at V km/s, how thick should the shielding be to prevent the meteoroid from penetrating? Assume the meteoroid, having a density of 3.5 g/cm3 and mass of 1e-3 g, impacting into aluminum. The material constant for aluminum is 0.351. By smallsat in Spacecraft Environment on April 6, 2013 .